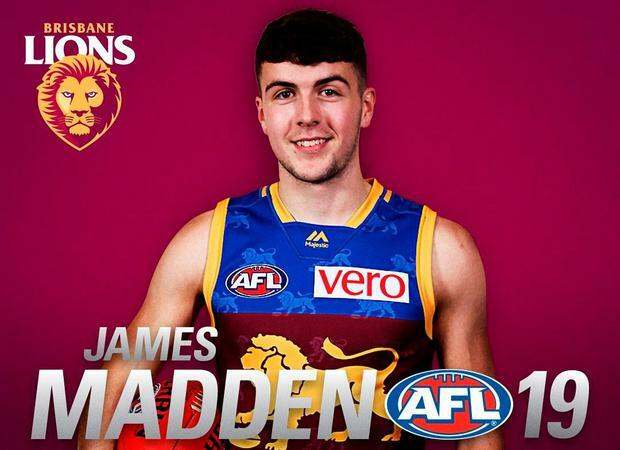 Brisbane Lions have officially announced the signing of Dublin U20 footballer, James Madden. The Ballyboden St Enda's flyer has been coveted by a number of Aussie Rules clubs since breaking the mark for the fastest 20-metre sprint time at the seventh annual AFL Europe Talent Combine in UCD last December. Madden, who played for the Dublin U20s in this summer's Leinster final loss to eventual All-Ireland champions Kildare, has signed as Category B international rookie for the 2019 and 2020 seasons. He becomes the 12th Gaelic games export currently on the books of AFL clubs and is the first Dublin player to make the trip since Ciarán Kilkenny had a brief spell with Hawthorn at the beginning of 2013. "It's a bit surreal to be honest," 18-year-old Madden told the Brisbane Lions website, when speaking of his move. "I knew I've been coming for a while now and it's great to finally be here." "It's a bit weird meeting all the coaches and players, seeing them on Instagram and stuff for the last while. So it's good to be here. 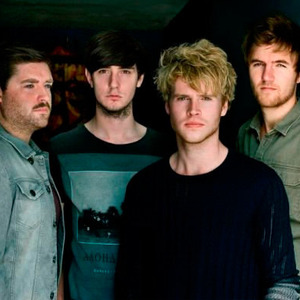 "It's something a lot of Irish lads would love to get this opportunity. I'm really going to cherish it and it's a good challenge. "A new experience, new country, new city, good to be here," added the Dublin minor footballer of 2016 and 2017. Madden will now spend two weeks in Brisbane before returning for pre-season training in November. He is the first Irish player on the Lions' books since Mayo's Cian Hanley, who came home after a year back in February. Madden initially caught the eye at the the two-day testing event hosted at UCD late last year, conducted by former Down footballer and Collingwood half-back Marty Clarke and AFL National and International Talent Manager Kevin Sheehan. His 20m sprint (2.69 seconds) and agility times (7.76) at the European Combine bettered the respective AFL Draft Combine records (2.75 seconds and 7.77). Cuala prospect, Peadar ó Cofaigh Byrne and Anton Tohill, the son of All-Ireland winner and former Derry midfielder Anthony were also among the 20 players who trialled, as was Galway's minor All-Ireland hurling winner, Jack Canning. Meanwhile, Davy Fitzgerald has confirmed that he will remain as Wexford manager 2019. The Clare man took the job on a three-year agreement but there had been speculation after Wexford's meek exit from this year's All-Ireland SHC that he was considering his position. Reports suggest a delegation of Wexford players travelled to Fitzgerald's home in Sixmilebridge to convince him to manage the team for a third season. "My backroom team will be much the same with the possibility of just one change," Fitzgerald explained. That change could be the loss of selector Páraic Fanning, who has been linked with the vacant Waterford senior hurling manager's job. Fanning, a Deise native and former Mount Sion manager, previously worked as a selector in Waterford during Fitzgerald's stint there. He also managed WIT'S Fitzgibbon Cup team this year.